The current season looks pretty similar to most of the recent ones. You can see many of the seasons clustered together below two lines. Those were the 2002-03 and 2003-04 seasons, and obviously were high scoring seasons. 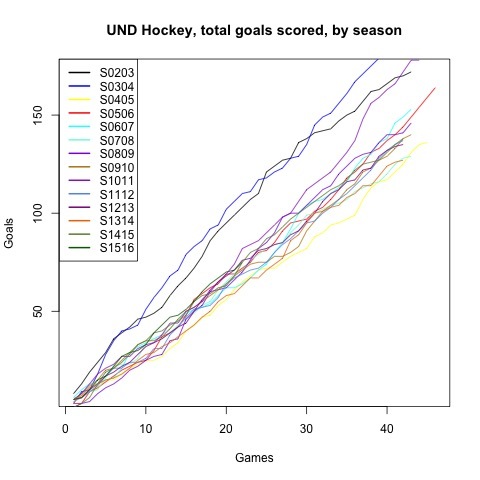 A colleague and I are starting research into hockey analytics so I was just playing around with some data here to see if anything interesting appeared in the graph.